The municipal bond market is often seen as a safe-haven among investors. After all, the bonds are issued by governments and are often backed by taxpayer dollars. Investors may be aware of default risks in rare cases, but for the most part, they remain unaware of the rampant securities fraud taking place. In recent years, it has become increasingly apparent that fraud is commonplace in the $3.7 trillion muni bond market. The Securities and Exchange Commission (SEC) described the market as “too opaque” in a 2012 report and has taken action against large and small governments to curb the problem. Let’s take a look at some common types of fraud in the muni bond market and how the proper due diligence can avoid it. There are many different types of fraud in the municipal bond market, which are perpetrated by issuers, brokers, and advisors. While some fraud is due to the lack of proper controls, most cases involve individuals taking deliberate actions to mislead investors. Want to learn more about what happens to municipal bonds when municipalities go bankrupt? Click here. Flipping Muni Bonds: A broker or advisor buys a muni bond and immediately sells it to a retail investor for a profit. For example, a broker may receive an order, tell a third-party to purchase the bond, and then buy the bond from the third-party to deliver to the customer. 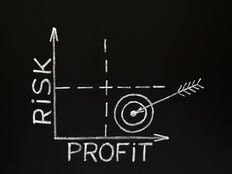 The broker receives a kickback, the third-party receives an immediate profit, and the customer loses out on profit potential. Misleading Pension Disclosures: Underfunded pensions have become a major concern for many state governments. In 2013, the SEC charged the State of Illinois with failing to disclose that its statutory plan significantly underfunded state pension obligations and increased overall risk. Accounting Fraud: Investors may be provided with a false sense of financial health to secure positive ratings and make bonds more palatable. For instance, Ramapo, NY, officials lied about revenue sources for a baseball stadium bond issue and propped up the fund’s balance with money from other town funds and fake receivables. Siphoning of Bond Proceeds: The proceeds of the bond may be redirected towards other purposes. For example, Harvey, IL, officials diverted $1.7 million of proceeds for a Holiday Inn hotel to fund the city’s payroll and other operational costs that were completely unrelated. Missing or Misleading Statements: Government officials may make misleading public statements (aside from disclosures) to prop up bond ratings. For example, Harrisburg, PA, officials made misleading statements in the city’s budget report, financial statements, and State of the City address. 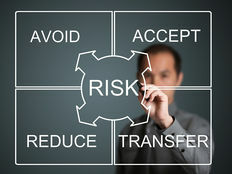 Insufficient or Ineffective Internal Controls: Governments and their advisors may have undisclosed conflicts of interest or other ineffective internal controls. For example, Barcelona Strategies LLC defrauded a South Texas school district in connection with multiple bond offerings, which negatively impacted both the school district and bondholders. Some forms of municipal bond market fraud are difficult to detect since individuals may take direct action to mislead investors. 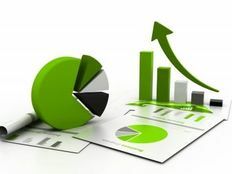 In other cases, there are visible warning signs that investors can steer clear of to avoid becoming a victim of fraud and ultimately improve their risk-adjusted returns. Click here to learn more about the process of conducting muni bond due diligence. Budget Plan Changes: Investors should reassess their muni bonds when underlying issuers make changes to their budgets. If these budgets seem overly optimistic, it might be time to sell the bond and look elsewhere. Many rating agencies provide insights into these cases. Legislative or Statutory Changes: Some legislative changes have an immediate impact on muni bonds and the government’s ability to repay those bonds. Investors should be cognizant of these changes and determine how they will impact their muni bond holdings. Project Viability: Revenue bonds often depend on an underlying project to repay bondholders. If there’s a material change in the viability of the project, investors may want to reassess their holdings and consider selling or diversifying into other assets to mitigate the risk. Pension Plan Disclosures: Underfunded pensions are a major source of uncertainty in the muni bond market. Investors should carefully watch pension plan disclosures for any changes in liability over time. Don’t forget to click here to learn more about continuing disclosures from muni bond issuers. The municipal bond market may seem like a safe haven for investors on the surface, but there are just as many instances of fraud as other asset classes. Investors should be sure to conduct the proper due diligence before buying a muni bond and watch for warning signs of fraud in their portfolios. Be sure to check out our Education section to learn more about muni bonds and sign up for our free newsletter to get the latest news on muni bonds delivered to your inbox.